During the past few years, China has experienced days with extremely poor air quality. Many of these days had high particulate counts which are considered unhealthy for the general population. As one of the ways to reduce the level of these dangerous particulates, the government is asking cities and provinces to encourage citizens to return to bicycling for "green transportation". Cities from the largest to the smallest are encouraged to institute or enlarge bike-sharing services. During 2014, thousands and thousands of bicycles have been added to the streets in China; in this year alone, 70 new bike-sharing programs began operating throughout all of the country. I closely monitor Bike-sharing in China for The Bike-sharing World Map, a service of this blog. The data was also vetted by Professor TANG Yang of Zhejiang University and one of his Masters students, FEI Yibo. There are 235 cities or districts with operating bike-sharing programs in China. They comprise approximately 747,400 bicycles in 28,000 stations. Conspicuously missing from this list is the City of Wuhan in the Hubai Province. 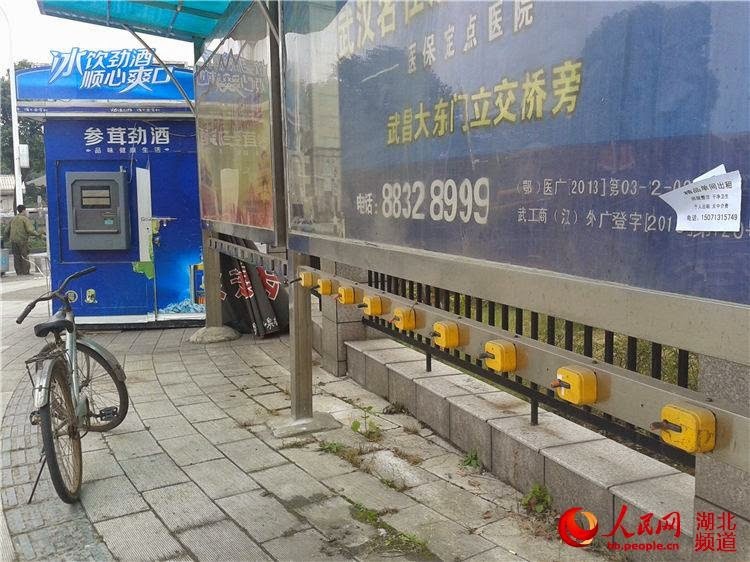 Over the last few years, Wuhan had purportedly claimed the largest bike-share program in the world. Reports of close to 100,000 bikes in the program were widely circulated on the Internet. In April of this year the city government closed down the program, which began in 2009, because of mismanagement and non-fulfillment of service according to China Hubei News and FDC.com. Most stations had no bikes and the bikes that could be found were not fit to be ridden. The Wuhan Public Bus Company was to take over the program with the intent of starting anew, but it has now backed out. 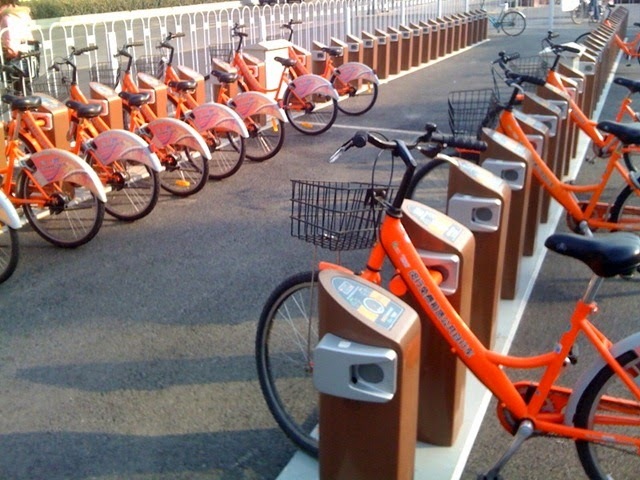 The Wuhan City government is considering other options to bring back bike-share. In China, most programs throughout the country use a value-added RFID card to access the systems. Generally, the card must be acquired in person with proof of residency or foreign passport. The cards range in price, but most cities charge a refundable ¥200 RMB ($32 US) deposit and require an additional loaded amount on the card of ¥100 RMB ($16 US). The loaded amount is used to offset the overage charges, generally ¥1 RMB ($0.16 US) per hour, incurred over the one or two hours of initial use commonly given at no extra charge. In Barcelona, morning brings electric or more precisely, BiCiNg elèctric! Last week 150 pedelecs, electric-assist bicycles, were added to the venerable Bicing fleet. The pedelecs have their own special battery recharging docking stations, 5 are on the street and 18 are positioned in parking garages. In January 2015, BiCiNg elèctric will double in size to 300 pedelecs in 46 stations. The new pedelecs cannot be commingled with the 5,300 regular bicings in the 395 stations currently in operation in Barcelona. Not only do they need the electric charge, but they also have a separate membership charge. The annual fee will cost €14 ($17 US). It can be purchased separately or as a supplement to the regular bicing membership. A usage fee of €0.45 for the first 30 minutes begins when the bike is taken out. Each additional 30 minutes, to a maximum of 2 hours, cost €0.80. 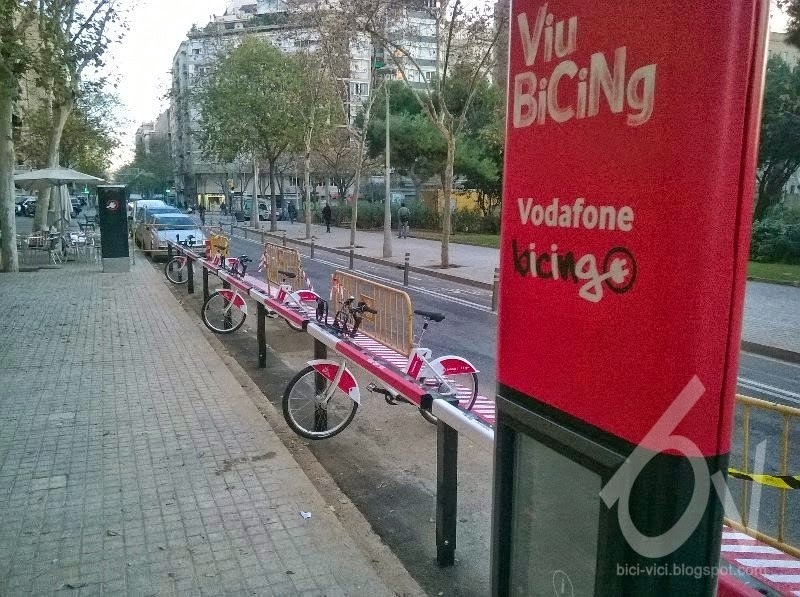 With BicMAD in Madrid and now BiCiNg elèctric in Barcelona, Spain's bike-sharing is moving into an electric 21st century! Barclays Cycle Hire is tweaking its rates for 2015. TfL, Transport for London, will introduce new "simplified" pricing next month where all overage charges will be £2 ($3.10 US) per 30 minutes. There will no longer be escalating charges for additional half hours. All additional half hours will be the same price. Three new Irish cities joined Dublin with bike-sharing this month: Cork, Galway and Limerick (bikeshare.ie). All share the same the same sponsor as Dublin, Coca-Cola Zero. Bike-sharing is getting sweet on the Emerald Isle, but with no added sugar! Sad news from Ecobici in Mexico City. Last Friday, a 37 year old man riding Ecobici was fatally struck by a mini-bus on a transit way, according to SPDnoticas. 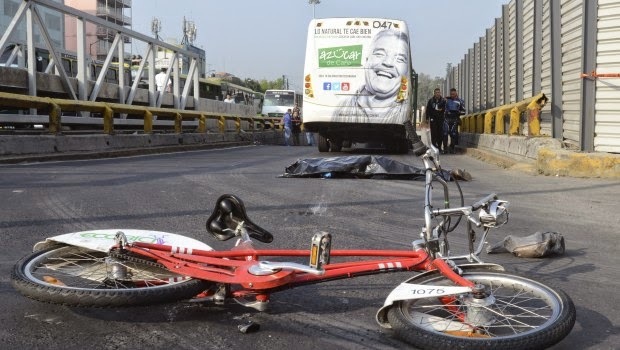 After over 19,700,000 usages in over 4 years that Ecobici has operated in the Federal District, this is the first fatality for bike-sharing in Mexico. This terrible event makes an earlier announcement from Ecobici bittersweet. This month Ecobici began its grand expansion into the Benito Juarez section of the city. Work has already begun to bring 2,500 more bikes in 171 new stations to the system, as was reported by Almonent Noticas. Mexico will soon have another fairly large bike-share system in Guadalajara. 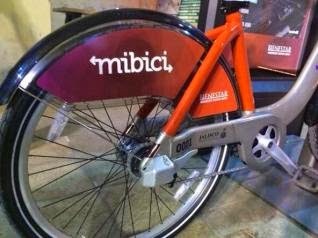 Mibici is scheduled to begin operation within the next week or two. It will have close to 1,000 bikes in almost 90 stations. 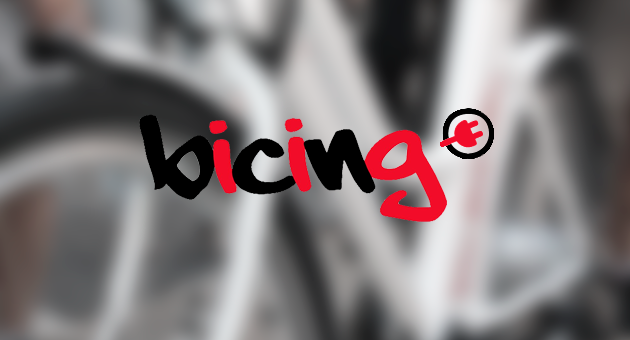 Stay tuned to @BikesharingMap for the notice of Mibici's launch. 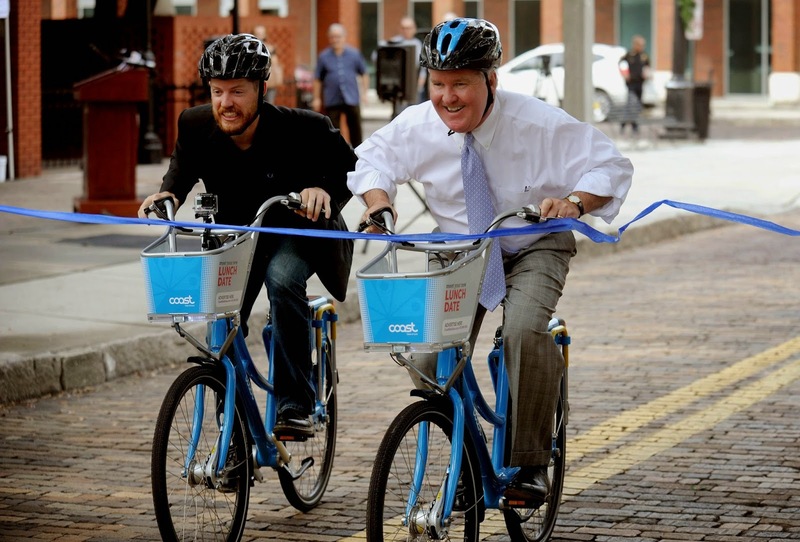 This week Tampa, Florida finally coasted into opening a bike-share system, but for members only, Coast Bike Share will open to all on December 7, 2014. With 45 bikes in "hubs" rather than stations, members can try out the bikes. Coast Bike Share is to have 300 bikes in 27 "hubs" to pedal and coast on the streets of Tampa. Phoenix, Arizona's delayed Grid Bike Share program is reported to be ready to begin operation next week on November 25th. This week JCDecaux, one of the world's largest outdoor advertising companies, as well as one of the largest bike-share systems providers, signed a 10-year agreement with the City of Edinburgh, Scotland. JCDecaux reports a provision of the contract is to "consult with the city for the provision of... a city-wide bicycle-hire scheme."